Real estate agents say it’s one of the most important elements of a property for prospective buyers, if not the most. That’s because you spend so much time there in the morning, and that can really set the tone for the rest of the day. According to one expert, homeowners often say they want to move just for the excuse to remodel this part of the home. You don’t need to go through the hassle of relocating, of course. It’s your bathroom; it should make you happy. Also, remodeling doesn’t cost a fortune if you know how to go about it. 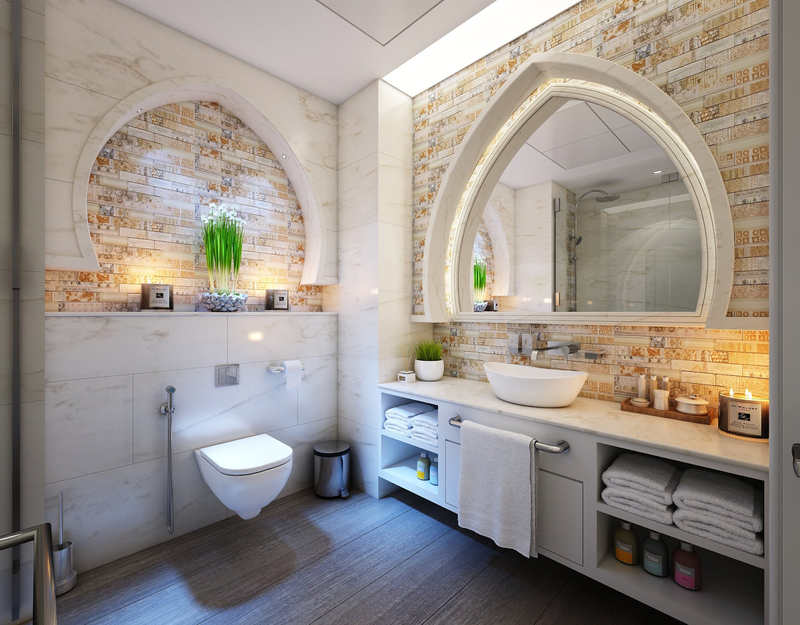 Here are some suggestions for creating the bathroom of your dreams so you can wash up in style. Shopping wisely doesn’t mean that retails outlets don’t offer any good deals at all, as long as you stick with clearance sales and deals for retailers such as Lowe’s. Many stores offer different home and garden products, as well as a variety of savings. By doing so, you can help rein in your budget without having to cut corners. You’ll get a huge return on investment if you find just the right second-hand fixtures such as faucets, handles, and even the sink, as long as they match with your overall vision for the remodeling, of course. Buying online is another low-cost option when you know what you’re looking for, and it could save you thousands compared with brick-and-mortar shops. You can also use cost-cutting sites like RetailMeNot to find the best deals and coupons. Have a clear idea of what you’re going to do; otherwise, you’ll end up making some costly mistakes. Fortunately, technology has caught up with your needs with more than a dozen smartphone apps that show what various rooms of your home would look like after a remodel. If you don’t have a lot of money to throw around, this could be the most important step in the process, which can run into the tens of thousands of dollars if you’re not careful. Start with a total figure, then break it down into parts, with a percentage going toward walls, floors, ceilings, countertops, and other items, says a writer with Apartment Therapy. How much of the remodeling you tackle depends largely on your skills with tools in hand, but there’s more to it than that. You should also ask yourself some questions such as how much would you save and what are the risks. The latter is particularly important, and why plumbing should probably be left to the professionals as a mistake here would be costly. Because moving them just a few feet could put the entire project way over budget. According to Fair & Square Remodeling, changing the location of your toilet by only four feet costs about $1,800, and the price tag could be even higher when doing the same with the shower or bathtub. It’s probably best to work around them both. Tiles are the go-to material when it comes to bathroom floors and walls, but there are other options, as well. Wood, for example, is generally much cheaper, and it adds a warm, rustic appeal that reminds one of a stove-heated chalet high up in the mountains. There are tricks that’ll stave off problems due to moisture if that’s what you’re worried about. You’ll save up to 40 percent when you buy reclaimed materials, and they’re not even hard to find in some locales. Wood, granite, ceramic tiles, and glass are all available on the cheap and could be the perfect addition to your new bathroom, so keep your eyes open. Do it right and your vision will be a reality with only the slightest dent in your savings. The real pleasure comes when guests have a look at your private palace and turn green with envy — and they’ll think you spent so much money to make your project shine!